When Kathleen Crofton arrived in the unlikely destination of Buffalo, in 1967, she carried with her an astonishing legacy. 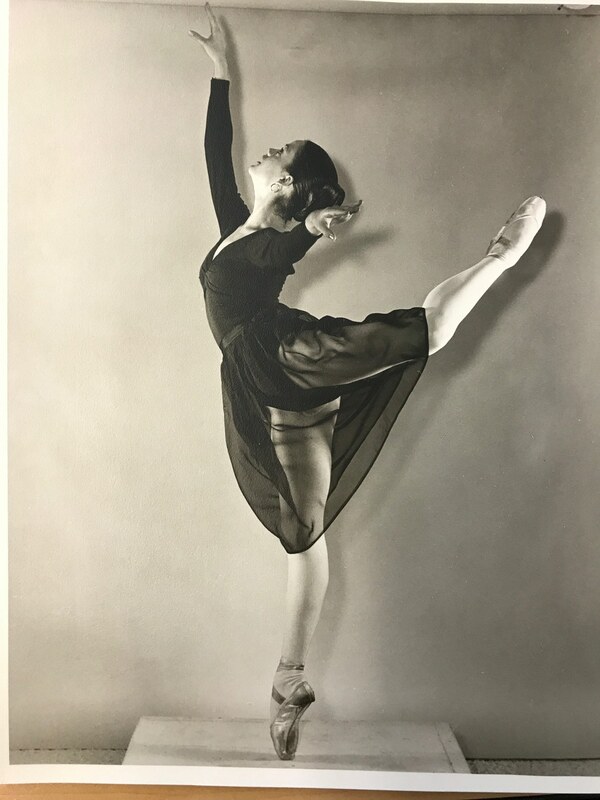 Many of her students at the Ballet Center of Buffalo, myself included, had no idea that she had danced in Anna Pavlova's company (1924–28) and was a close colleague of Bronislava Nijinska. We were unaware that she had partnered with Frederic Franklin in the Markova-Dolin Ballet, had performed with the Opéra Russe à Paris where Nijinska was ballet master/choreographer, and taught at the Metropolitan Opera Ballet in New York and The Royal Ballet in London. Crofton didn't boast that Margot Fonteyn and Rudolf Nureyev were frequent drop-ins at the school she owned in London for more than 15 years. 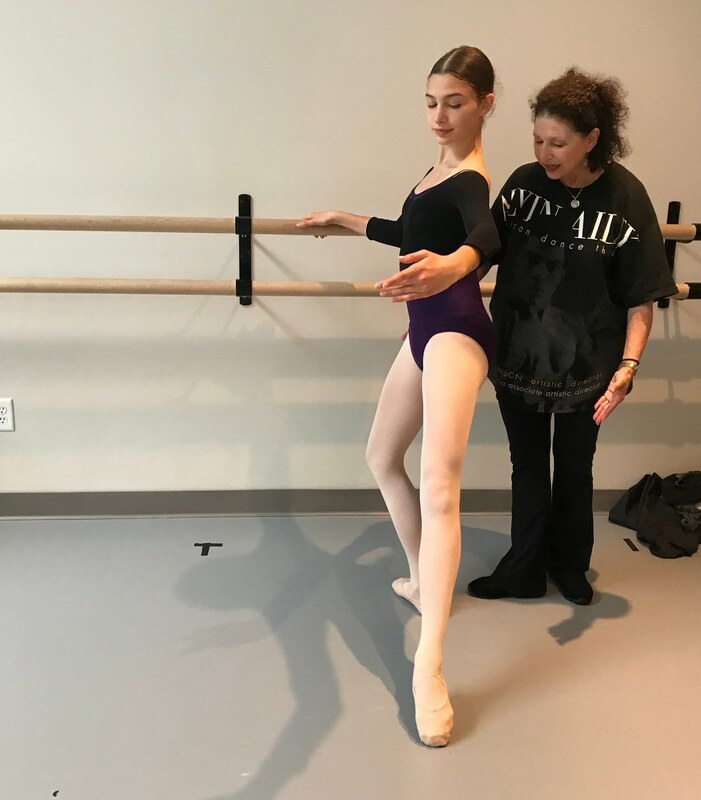 Many of Crofton's Buffalo students flourished in their professional careers, but it is in their teaching where the rich information of her ballet heritage can be seen best. Pavlova biographer Jane Pritchard mentions the impressive list of teachers who came from Pavlova's company, including Crofton. What's astounding is the number of prominent teachers from Crofton's lineage, mostly during the few years in the late 1960s when she directed the Ballet Center of Buffalo. Be it the attention to the whole body, the spiral thread of energy that runs through the body, or the sense of proportion and scale that ultimately makes ballet fit any body, Crofton quietly carried her message through to a set of young dancers, who are now in key positions to impact the next generation. I spoke with four of these teachers, who shared their memories of Crofton's impact. Although none had ever witnessed their treasured teacher dance onstage, they are fairly certain she transferred at least some of the Pavlova DNA to them. 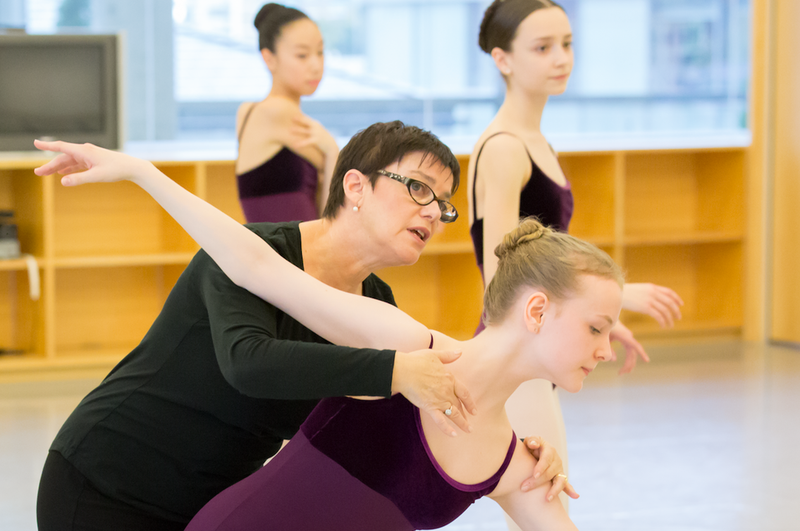 Hess joined the artistic faculty at Canada's National Ballet School in 1981. She also serves on the jury for the Youth America Grand Prix and International Ballet Schools Competition in Havana, Cuba. Crofton combined the best of Cecchetti with Russian training from Olga Preobrajenska. "There was the petit allégro, which was very fast, and then she would want us to reverse it, and then there was the fiendishly complicated grand pirouette combinations," says Hess. Crofton wore her hair in a swooping over-the-ears bun, like a vintage ballerina. Hess recalls her gently whistling to convey the rhythm of a phrase. "She called me 'Debbie Darling Duckie Sweetie,'" she says, laughing. Crofton was well into her 60s by the time she headed up the Buffalo school, so she demonstrated in a very particular way, which did not involve full-out movement. "She would show us what she wanted by the subtlest movement of her upper body. We could see the nuance, that curved line running through the body." If the students looked flat, Hess remembers Crofton said, "You look like a signpost." Elizabeth Corbett danced with the Joffrey Ballet and the Milwaukee Ballet, becoming a soloist with William Forsythe's Frankfurt Ballett. She's been on faculty at Anne Teresa De Keersmaeker's school P.A.R.T.S. and with ImPulsTanz Vienna International Dance Festival, and is on her 11th season at the American Dance Festival. Although it was the Forsythe legacy that she is most associated with, Corbett credits Crofton for her early foundations in classical technique. "All those hours led into the exciting works I would be a part of with Forsythe, especially the importance of épaulement. Forsythe would agree that the body-mind connections we develop through our épaulement extend deeply in terms of 'roots and branches' across the repertoire," says Corbett. "I can remember Crofton's presence, her words, movements and her teaching, as if it were yesterday. In retrospect, her patience, calm demeanor, attention to detail and teacher's wisdom laid the groundwork for the world of teachers and teaching that I would aspire to become a part of." Today, she mines that Crofton connection with her students: "As I speak about weight shifts, I lift a student's elbow, rotate the lower arm, glance over the ring finger, breathe through the fondu, reach out through the toes and lower leg in extension, and prepare with a breath. I'm channeling my inner Crofton," she says. Lynn Glauber-Mandel trained with Crofton from 13 to 16. As she launched her professional career, an uncanny thing happened to her. While auditioning for Maurice Béjart, he called her "Pavlova." She went on to become the youngest member of his company. She joined the Joffrey Ballet in 1977. "Kathleen was a huge influence on me," Glauber-Mandel says. "She had these round, big, fleshy arms and made a beautiful frame around her shape, it was such a gracious port de bras." All of this comes in handy to Glauber-Mandel's contemporary students. "It makes their upper body so much more alive," she says. Glauber-Mandel remembers being in the room with Nijinska while she was setting Les Biches on the company (at that time the Buffalo Ballet). "She had these huge, expressive hands and spoke almost no English, yet we connected to her mannerisms," she says. "Crofton and Nijinska were like twins, from the same era and intention." Former Joffrey soloist Donna Ross was a principal in Crofton's short-lived Buffalo company and danced alongside Dame Margot Fonteyn at the Eastman Theatre in Rochester, New York, in 1973. Ross remembers Crofton's obsession with feet, what a stickler she was about port de bras and her luxurious center adagios. She regularly shares her ties to Pavlova and Crofton with her students today. "I show them photos and tell them that I am passing on their teachings," she says. "I am proud of that lineage." Ross also recalls Crofton's difficult pirouette combinations loaded with attitudes and arabesques. "Students were fearless and full-bodied in their movement, so dramatic and athletic. What she did was create dancers." The list of teachers with Crofton ties includes such prominent dance educators as Raymond Lukens, former director of ABT's National Training Curriculum, Anna-Marie Holmes, who directs the Jacob's Pillow Ballet Program, Diane Lewis at Hochstein School of Music and Dance, Joanne Zimmerman at Amsterdam University of the Arts, Barry D. Leon at University of Minnesota, Michael Uthoff (guest artist) at Webster University, Tim Draper, founder of the Rochester City Ballet, and Donna Schoenherr, founder of Ballet4Life. Crofton's charges recall her ability to carry a delicate sense of proportion in the port de bras that worked on a dancer's own body. The same was true of her concept of arabesque, where the leg and back work in harmony. She had a knack for customizing technique so dancers looked the best they could be. Crofton also offered dance history as part of her training. Former ABT dancer and State Street Ballet founder Rodney Gustafson credits Crofton for his early attachment to ballet. "She had such a sense of respect for the artform," he says. "I fell in love with dance; she put it in my heart." Nancy Wozny studied with Crofton during her tween years in Buffalo, sadly without an inkling of who was calling her "Duckie."